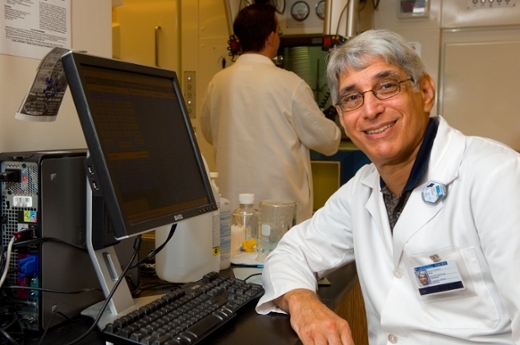 Mark Goodman is one of the original developers of FACBC (AxuminTM)﻿, an FDA-approved imaging agent for recurrent prostate cancer. Emory University's Office of Technology Transfer will celebrate its faculty entrepreneurs and their innovative discoveries at the 11th Annual Celebration of Technology and Innovation. The celebration will be held Thursday, March 2, 2017 at the Emory Conference Center, Silver Bell Pavilion, 1615 Clifton Rd., Atlanta, GA 30322. Emory researchers have found that peptides secreted through the skin of frogs native to southern India have potent anti-viral effects against influenza and Zika virus strains. Peptides from Hylarana malabarica effectively limit proliferation of H1N1 influenza strains, and peptides from Hylarana aurantiaca are effective against the Asian, African and South American Zika virus strains. These peptides have the potential to be developed into potent antiviral therapeutics. Emory executed a High Net Worth License agreement with Carrick Therapeutics for highly selective cyclin-dependent kinase (CDK) inhibitors. Because of the role of specific CDKs in the regulation of the cell cycle, they have been identified as important targets for the design of drugs with antimitotic, antineurodegenerative, antiviral and antitumor effects. Emory researchers identified a series of CDK inhibitors being developed by Carrick Therapeutics to treat aggressive forms of cancer in under-served populations. Carrick closed a Series A round of financing, generating over $90 million in 2016. Clearside Biomedical, Inc. is a clinical-stage biopharmaceutical company developing first-in-class drug therapies to treat chronic, blinding diseases of the eye. The company's current focus is on diseases affecting the choroid and retina, especially diseases associated with macular edema. Clearside-developed medications are injected non-surgically into the suprachoroidal space with a micro-injector and are targeted specifically to the retina to improve the effectiveness of the drug while reducing side effects. In 2016 Clearside raised $50M in its initial public offering. The company also announced the first patient enrolled in a Phase 1-2 clinical trial of ZuprataTM in diabetic macular edema. In December the company was added to the Nasdaq Biotechnology Index (NBI). Several years ago Emory researchers developed 18F-fluciclovine, or FACBC, a radiotracer agent with strong imaging capabilities for brain cancer and a longer half life than the standard radiotracer. After a series of preliminary licensing agreements, in 2016 the biotech startup Blue Earth Diagnostics guided the imaging agent, now named AxuminTM, through the required steps to FDA approval for the detection of recurrent prostate cancer. AxuminTM also received an FDA “orphan drug” designation for the diagnosis of glioma in 2015, and research into several other applications of the radiotracer continues at Emory. Emory University's Office of Technology Transfer has more than 30 years of success in guiding scientific discoveries from the laboratory into the marketplace. Emory currently manages more than 1,500 technologies disclosed by its scientists and physicians. This has led to the formation of 82 new companies and the introduction of more than 46 new products into the marketplace, some of which, like the discovery of several HIV drugs, have had major health and societal impact. Emory startups have received $1 billion in private investment capital, $314 million in public investment capital, and $13.5 billion from mergers and acquisitions. Emory has filed 4,709 patent applications and been issued 514 U.S. patents and patents in 85 countries since FY1997. Emory has executed more than 750 license agreements with industry, resulting in more than $860 million in licensing revenue, creating additional funding for new and ongoing research.